Angus Morley Thomson born on the 27th of June 1887 in Liverpool, Lancashire, the son of Malcom McMillian Thomson, a Baptist Minister and Edith Morley. Angus arrived in Canada in 1907; in Apr 1909 he married Alice Maude Ebbs in Nelson, BC. Sadly, she died in Dec 1909. 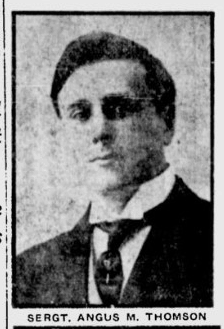 He then married Edith Florence Laidley in Dec 1912, in Fernie, BC. 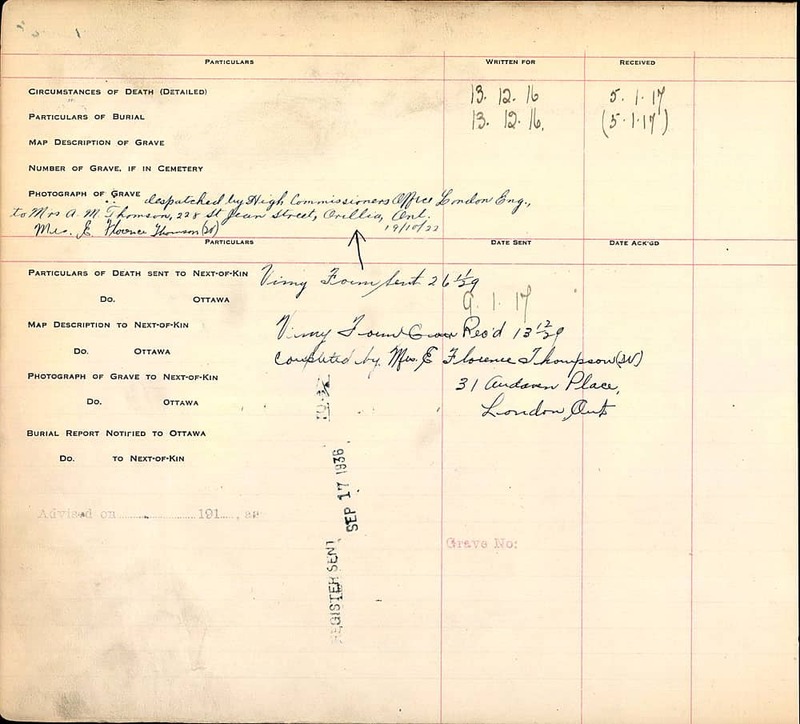 They were living in Edmonton, AB when he attested in 1915. She returned to Ontario after his death, and is in the 1921 census there. 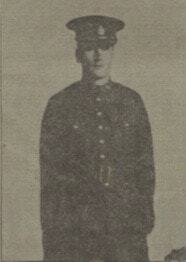 Angus enlisted on the 15th of September 1915 in Edmonton, Canada into the 29th Battalion, the Canadian Infantry. He was a Private with regimental number 467243. He was over 5ft tall, had a fair complexion, blue eyes and fair hair. At the time of his enlistment he was working as a broker. Pte. 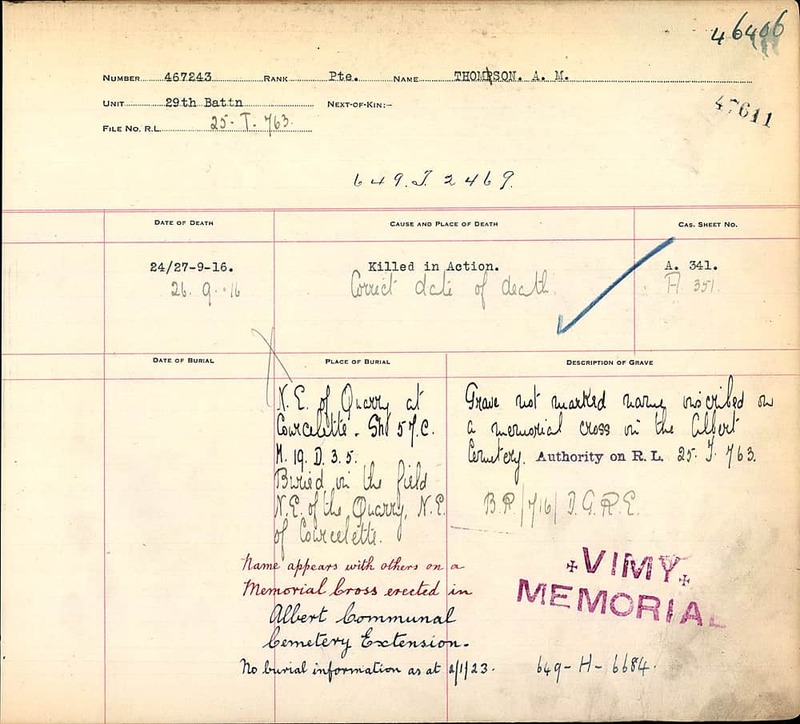 Angus Morley Thomson, of the 29th Battalion the Canadian Infantry, was killed in an action on the 26th of September in France. He was buried in the field. 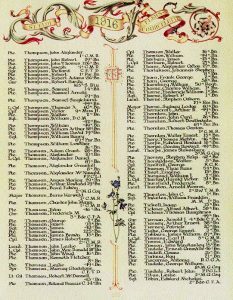 Angus’ brother Kenneth Fletcher Thomson who was killed on the same day as Angus in the fighting for Vimy Ridge – but is not commemorated on the South Street Memorial. Research has been done by Dorking Museum and Galiano Museum into this as Rev. Thomson was living in Dorking at the time the names were entered onto the South Street War Memorial, but no evidence can be found for Angus being the only brother commemorated. Brother of Douglas MacDonald 1881-1948; Winifred Edith 1884-1975; Malcolm Macmillan 1885-1984;Muriel Ethelwyn 1890-1978;.Kenneth Fletcher 1895-1916; Ronald Macgregor 1896-1985).